Bulldogs vote on a strong group of senior captains with unique leadership styles for the upcoming season. Fall ball begins with a competitive scrimmage against the University of Minnesota. This past Friday the Bulldogs voted on their leaders for the season. Returning from last year is senior captain Nick Timmons. The new captains include senior defenseman Noah Olson, senior midfielder Kraig Urquhart, and senior attackman Scott McNamara. UMD wrapped up the weekend with a competitive scrimmage against the University of Minnesota. Nick Timmons is looking to build off of his leadership presence from last season and promote even more success this year. Receiving MCLA first team all-American honors last May, he is not only an outstanding lacrosse player but also a strong role model off the field. Nick has clear goals and he uses all of his potential to achieve those goals by giving well-thought and articulate advice to his teammates. Although this is Noah Olson’s first season as a captain, he has long been a vocal leader for the Bulldogs. Noah excels in keeping people accountable for their mistakes at practice and making sure the team holds themselves to a high standard. Last season he was a second team all-conference and honorable mention all-American. He is also a leader in the classroom, twice being named an MCLA scholar-athlete and now preparing to attend grad school. Nick Timmons clears the ball in the second round of the '18 MCLA National Tournament. Kraig consistently pushes his limits on the field and encourages his teammates to the same. 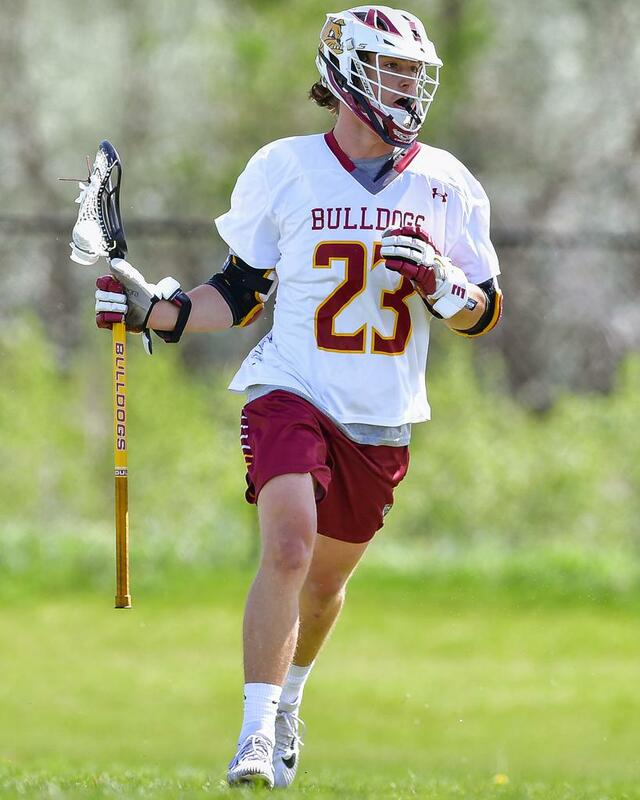 Last year the Bulldogs offense saw a huge improvement, largely at the hands of senior attackman Scott McNamara. His experience and expertise on the field are unparalleled. Scott persistently shares this knowledge with his teammates and looks for ways to make improvements. He always pushes himself on the field, in the gym, and in the classroom. Last season Scott was honored with first team all-conference, first team all-American, US Lacrosse Player of The Month, UMLC offensive player of the year, and MCLA scholar-athlete. His leadership will be a catalyst to the team’s success this season. This dynamic group of leaders had their first test on Sunday when the Gophers came up to Duluth for a scrimmage. The Bulldogs had a very strong start and came up with an early lead before Minnesota came back with a few quick goals of their own. By the fourth quarter, UMD was clicking again and putting strong pressure on Minnesota. The game was extremely competitive the whole time, but perhaps the biggest takeaway was the performance from incoming players. Matt Friesen scored twice on attack and Jackson Paradise put one away at midfield. Overall UMD was happy with their performance and is excited to make improvements. 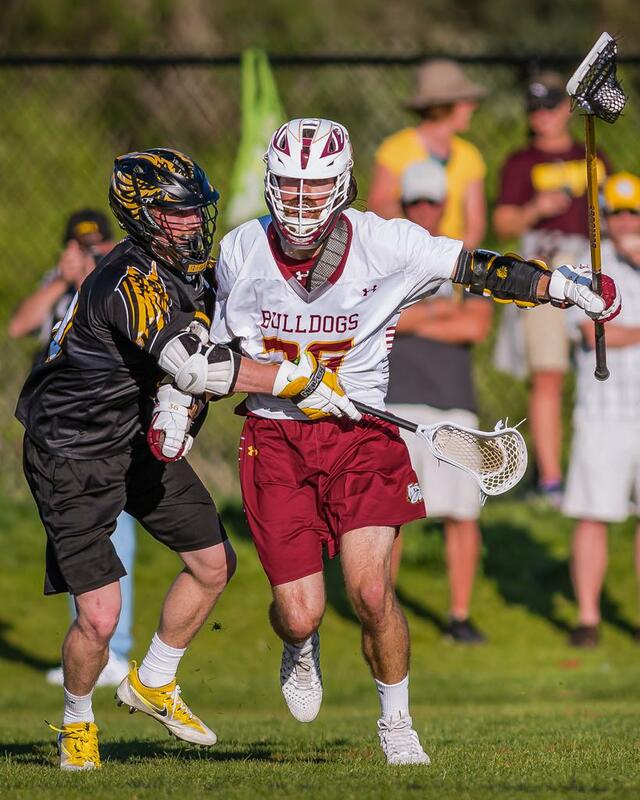 Scott McNamara carries the ball in the first round of the '18 MCLA National Tournament. The Bulldogs are now gearing up for their next round of scrimmages when defending national champion North Dakota State and St. John’s make the trip to Duluth on Saturday, Oct 6. The games will all be on the UMD campus, the first one being at 10 am against the Bison on fields 1&2 (next to the tennis courts). Next, the Bulldogs will face the Johnnies at 2:15 pm at Malosky Stadium.